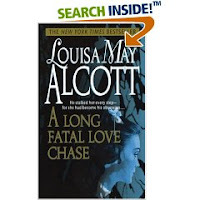 Right now I'm reading Louisa May Alcott's "thriller" A Long Fatal Love Chase. I'm reading it along with my mom who had never read it before. She beat me to the finish line but I'm working my way towards it.